The New York art scene of the 1980s is the stuff of legend. Buoyant and creative, it was open to all kinds of new media and offered young talents a spectacular arena of opportunity. Graffiti artists took art to the streets, others brought the everyday into their studios. The quest for innovation meant that all traditions were up for grabs and relentlessly questioned. 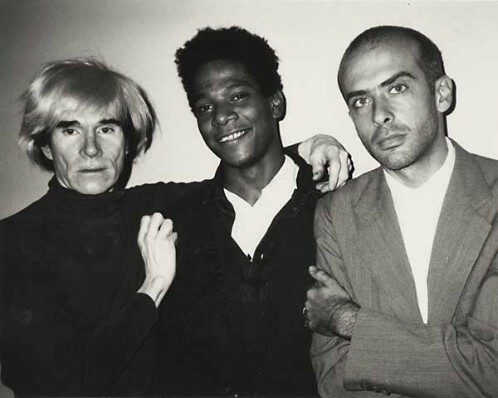 The exhibition Ménage à trois presents three of the main protagonists of the time: Andy Warhol, Jean-Michel Basquiat and Francesco Clemente. At the heart of the show are the collaborative works by the three artists. To highlight their very different artistic temperaments the exhibition will also present a wide range of non-collaborative works by each of the artists that exemplify their individual style. 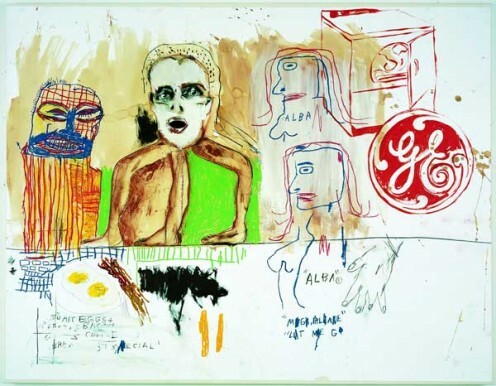 Whereas Andy Warhol, one of the founders of Pop Art, focused on the graphic and serial aspects of art, working in a clear and often seemingly detached manner, young Jean-Michel Basquiat burst upon the scene with a style that was as furious as it was expressive, a raw mix of symbols, pictograms and letters rooted in the urban graffiti idiom. The paintings by the Italian American Transavanguardia artist Francesco Clemente, on the other hand, often seem dream-like, mystical and almost surreal.